We can design a class that suits your family or child’s specific needs. Whether your child need help winding down at night, you all need to work on flexibility, or you want mindfulness to be part of your exercise routine, we can match you with the right instructor that works with your schedule. We regularly hold classes of varying sizes and focuses online, including vinyasa, meditation, and story time. We are gearing up to launch in Mid-September, so stay tuned! Pricing: Price varies based on location and length of training. Ranges from 2-15 hours. 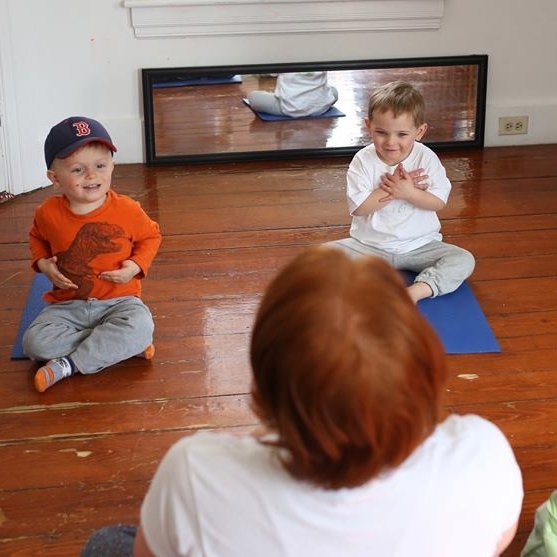 Our teacher training is an 18-hour weekend course that will prepare you to teach children’s yoga or to incorporate it in your work as an parent, future educator, or both. Learn each stage of child development: early childhood, middle childhood, and tween/teen and how each stage informs teaching and daily rituals. To solidify training, trainees are grouped with others that interact with children of the same developmental stage. Graduates will leave with the motivation, tools, and resources necessary to begin integrating yoga and mindfulness with their children daily. Pricing: Price varies based on location, please fill out form below.